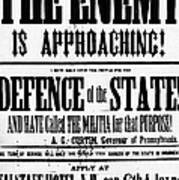 There are no comments for Civil War: Lees Campaign. Click here to post the first comment. CIVIL WAR: LEE's CAMPAIGN. 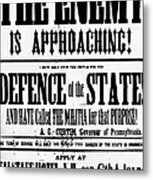 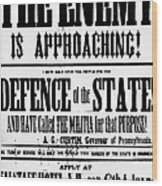 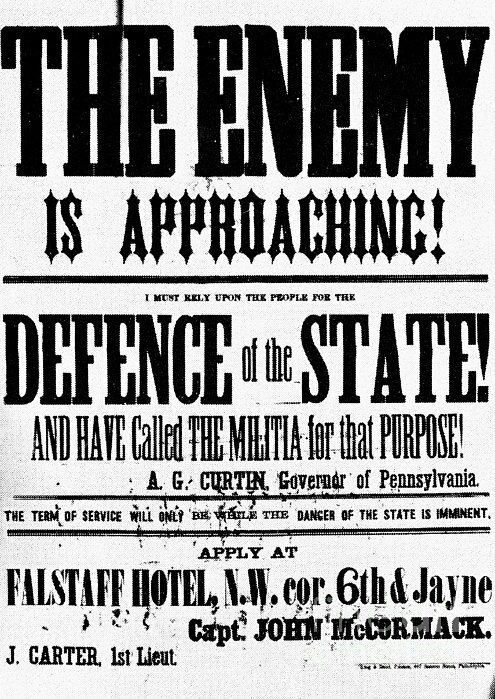 Poster, June 1863, calling on members of the Pennsylvania Militia to report in Philadelphia in defense against the approaching Confederate army.